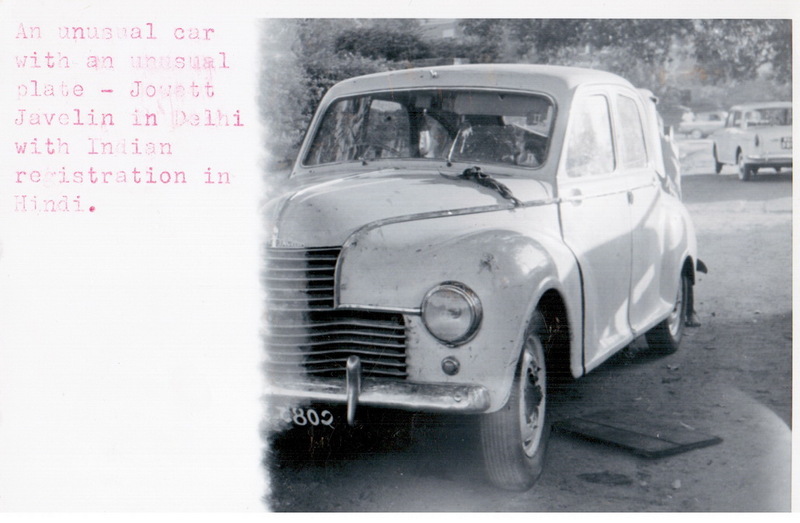 Member John Pemberton saw a Jeep in Piccadilly, London, in the 1950s, and having no camera, transcribed its Bengali/Nepali/w.h.y. script. Can one of our specialists identify that plate? Now see a good suggestion from EU 575 below…. 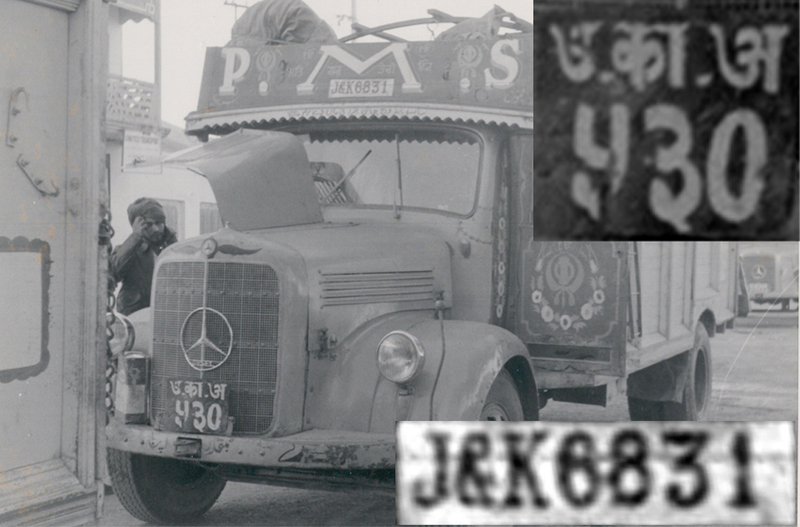 J&K 6831 — The dual-plated lorry on which the writer hitch-hiked from Patna to Kathmandu in 1965, carried Nepali and Jammu & Kashmir commercial plates. This entry was posted on Wednesday, December 19th, 2012 at 6:42 pm and is filed under Asia, Nepal, QUIZ, UNIDENTIFIED. You can follow any responses to this entry through the RSS 2.0 feed. You can leave a response, or trackback from your own site. Could it have been a Nepalese plate? They were always in native script. John carefully noted a period after each letter, precisely what has been observed on many older Nepal plates (see RPW). In that case the serial number has to be in Nepalese numerals as well. Then it’s probably not 7773 but 1113. The Nepalese “3” looks rather like our “3”. The Nepalese “1” is shaped a little like our “9”, and what John saw was probably a variant of that shape.